Fusion South Bay is located just east of Manhattan Beach in the city of Hawthorne. For commuters the location is pretty ideal with close freeway access, near shopping and dining and just a short drive to the beach, LAX and downtown Manhattan and El Segundo. 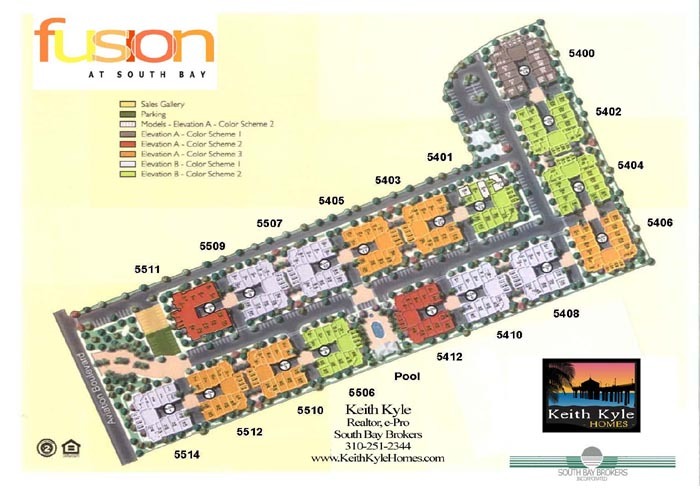 See maps below showing the location of Fusion South Bay as well as the community map showing the location of the buildings in the community itself.